Application: This complete set of livestock feed making machine is designed for processing fodder pellets for domestic animals such as cattle and sheep. This complete unit of cattle feed making machine is ordered by one of our client in Kuwait. The following photos were took during the goods inspection process before shipment. We can offer detailed introduction and parameters of each machinery in you need. Just send us an inquiry and then you can get a quick answer ASAP. This small feed processing machine set can also be designed to make feed products for chicken, pig and other domestic animals by adjusting the auxiliary equipment. All kinds of feed materials can be made into feed pellets. The pellet do not ferment in the presence of water as does hay. It also does not need much care when it comes to storage. By this the farmer's workload is reduced. Even though they may seem dry, pellets prepared in the farms contain high moisture contents that keep the cattle hydrated. The multiple nutrients in the cattle feed pellets help in the growth of cattle. Vitamins and minerals aid in the metabolism of proteins found in the pellets. Protein is responsible for the growth of the cattle. Turning traditional fodder into feed pellets also help reduce feed wastage. 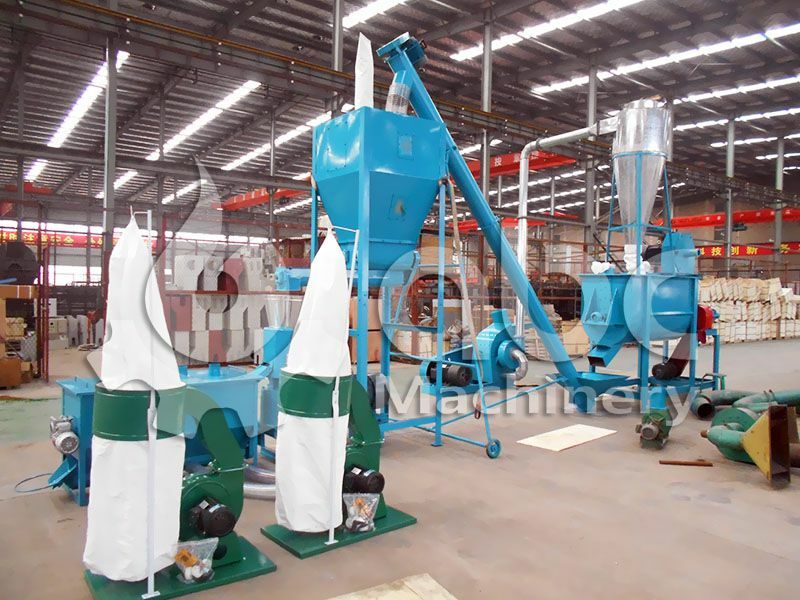 Livestock and poultry feed pellet makimachine can be classified into two different types. You have flat die pellet machine which tend to be cheaper to buy and ring die feed pellet machine which although more expensive, will produce savings in the longer run. Flat die feed making machines don't mix or grind and just take the powder already processed to create pellets. Even though this is considered a more modest setup, it is still able to produce up to 1000kg pellets per hour. Ring die feed pellet machines will use less energy for manufacturing the animal feed pellets so will be a better long-term bet, and are more suited to larger scale needs. Steam is normally used in the large scale feed production to further the life expectancy of the equipment, whilst also upping production rates at the same time.